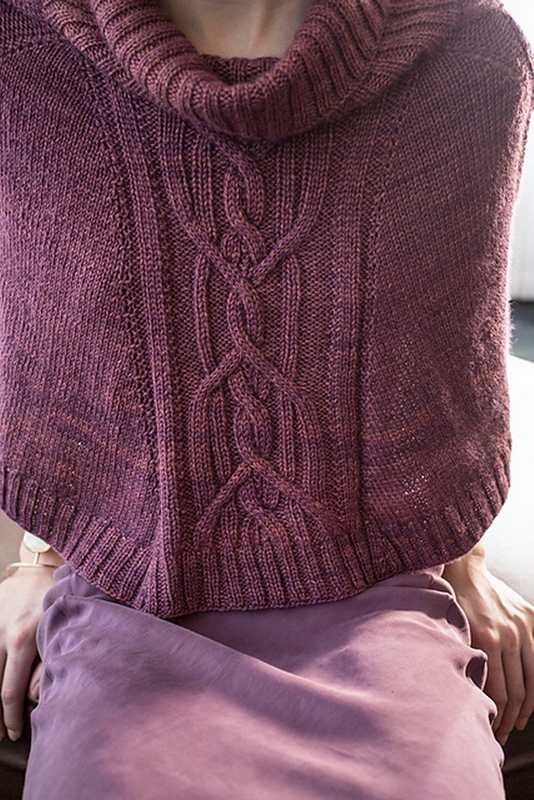 A seamless top-down poncho with a dramatic cable motif! This pattern is from Norah Gaughan for The Fibre Co. Size US 6-24", 4-16", and 4-36" needles (or size needed to obtain gauge), stitch markers, a cable needle, and a yarn needle are required but not included. Finished Measurements: Length at bottom edge 60 (64-68-72-76-80)" after blocking. Designed to fit bust 30 (34-38-42-46-50)". Gauge: 21 stitches and 30 rows = 4 inches in St st.